Conversation with Muhammad Daniel Hafiz this morning..
We were watching the TV this morning when the 'Kami Prihatin' video clip was aired. You know, the song about abandoned babies sung by a bunch of popular Malaysian singers. Daniel: What happened to the baby, Mummy? Me: The babies are dead, sayang.. Kesian..
D: Why is the baby dead? D: Why they throw away the baby? I love baby! M: Yes, I know you love babies. But there are some bad people who don't love babies..
D: Bad people love what, Mummy? We brought him for his follow up this morning at KPJ Selangor Specialist for his jaundice. Alhamdulillah the paediatrician confirmed that he is free from the sickness and he is doing very well. His weight has also increased from 3.5kg last week when he was first admitted, to 4.3kg today. That was a 0.8kg increase in a week. Well done, boy!! hehe... 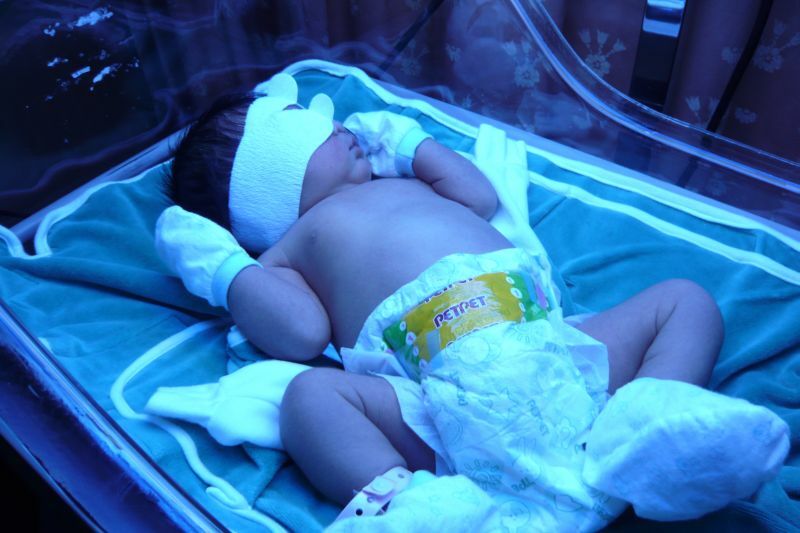 I was actually concerned when his weight dropped from birth time (3.75kg) to 3.5kg in a week last week, but the paed said that it was normal, since for the first few days of baby's life, he didn't feed very well yet. 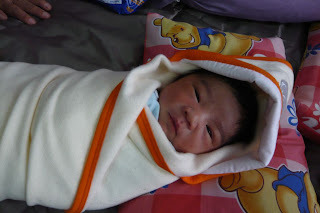 Yusuf Firdaus was actually born in my 37th week of pregnancy. It was totally different when I had Daniel, because Daniel was born just short of a day from his EDD. Since my menses are very regular, my OB/GYN predicted that this time, the baby would follow suit on his EDD, but Allah knows best. My journey throughout this pregnancy was also different from when I had Daniel, but the story will have to wait for another entry. I am now a contented mother of two.. Alhamdulillah for all His blessings.. I have often wondered whether I would be able to take care of my two sons alone. It made me frightened at times. At the moment, I have my whole family here with me at the house, so help is ample. My parents have offered tremendous assistance, at times I feel really guilty for having them doing chores for me instead of the other way round. We have finally registered the baby with JPN last Friday. 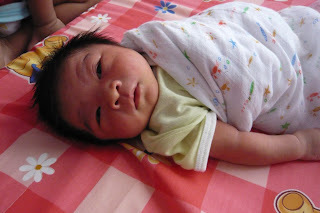 It took so long for us to agree on the name for the baby, but finally we settled with Muhammad Yusuf Firdaus. Yup, not at all similar with Daniel's name to signify that they are siblings :-) I hope this baby will live up to his name, and most importantly, I pray that we would be able to guide him and his brother to the right paths, and in return, they would become the sons that we could count on until the end of time. "Daniel good boy, kan Mummy, kan?" And lately, he would say, "If Mummy say no toys (while we were shopping or any other things that I forbid him to do), I don't say anything. I just keep quiet (meaning tak throw tantrums la tu). I am a good boy, kan Mummy?" Iyer la sayang... Awak memang good boy.... Please continue to be a good boy till the end of time, ok? I love you so much!!! !